Those of us who give advice on digital marketing can get a bit repetitive with our mantra that social is different than traditional advertising. It’s about showing up everyday rather than spending millions on one all-important TV spot. It means engaging with customers in a two-way conversation that goes way beyond: This is our product, you can buy it here for this price. One of the unavoidable similarities between traditional and digital marketing is that a campaign — with specific actions, over a defined time period and with definite goals — can be the key to unlocking success that goes beyond small incremental notches. When we build a social media strategy for your boutique hotel, there are a variety of campaigns that we can design to exploit that next-level growth. Here is our list of the eight best hotel social media campaigns. Contests are a natural place to start experimenting with campaigns. Many of the critical elements of a social media campaign are baked right in: they have a defined start and end time, its easy to track participation and most of the variables are well within your control. Traditionally, social media was viewed as a good way to get followers to participate in a web-based (or even off-line) contest. The idea was that the main attraction was somewhere else and the social media, Twitter and Facebook in particular, would act as the sandwich board and carnival barker that brought participants under the contest’s tent. In summer 2016, The Peaks Resort & Spa in Telluride, Colorado participated in the Telluride Storytelling Contest that fit this mold. 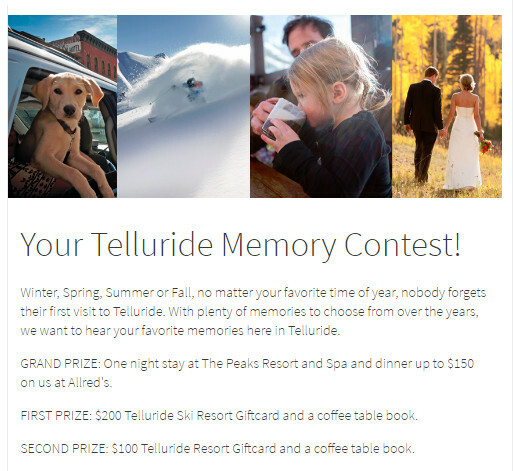 Followers were encouraged to submit their story about a Telluride experience and then get their friends to vote to select a winner. The contest received an impressive number of entries and second round of social-media fueled attention (the voting) certainly brought eyeballs onto the website and raised awareness for The Peaks brand. Traditionally, hotel social media campaigns have focused on supporting web-based contests like this one. On top of the built-in excitement that a contest attracts, ones like this that depend on user-written stories (or photos) also create a huge amount of content that can continue to build a bond with potential customers well after the contest is over. They may continue to work, especially in established cases where fans look forward to entering every year, but that depends on a very specific group of fans having an ingrained habit. New ones depend too much on followers completing several, sometimes complicated steps. They also need to have an attractive prize (remember from our post about the key elements of a hotel social media campaign that the prize should be on-brand) to make all the effort of entering worthwhile. And lots of social media support, which can often overwhelm more important messages geared to followers who are closer to booking at your boutique hotel. Instead, many boutique hotels are focusing their social media campaigns on a contest that is entirely based on a social media channel. The contest is announced, promoted, entries are made and the rules are published all in one place. In late summer 2016, Miami Beach’s Raleigh Hotel ran one of these on Instagram. Typically, some of the best hotel social media campaigns now are built around contests entirely hosted on social media. The contest is a straightforward one that asks people to follow the Instagram account, tag a friend in the post’s comments and also ask them to follow the hotel’s account. 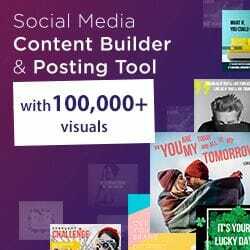 Follow contests like these are an easy and cheap way to build an account’s audience and increase organic engagement with your posts. Because the prize is on-brand — poolside passes and a food & drink credit — the Raleigh can be fairly certain that those who enter will be interested in their product. By targeting locals, they’ve also recognized that not all of their customers are the same. Those who live nearby will be more interested in poolside lounging than renting a room. The extra benefit of this is that out-of-towners who see the local interest in this contest (and, really, nothing says that they can’t enter it themselves) might interpret it as a sign that the Raleigh is a favorite with discerning Miami Beachers. Some of the best hotel social media campaigns aren’t as clearly defined. They can be ongoing and have a qualitative goal like raising awareness of a hotel’s natural surroundings. Especially when hosted on Twitter or Instagram, they use a hashtag to slowly roll the campaign’s story out over a series of weeks or months. The #scarletmoment hashtag is what the Scarlet Hotel in Cornwall uses for these posts. A hashtag is used by some of the best hotel social media campaigns to tie together a spread out stream of content. Humorous and honest positivity — cloudy, stormy skies rolling in? No problem! Remarkably high-quality photos shared on a regular, but natural schedule. It may come with the territory (Cornwall is not Maui, after all) but as a follower, I feel like the Scarlet is giving me an unvarnished look at what it’s like to stay with them rather than over-polished brochure fodder. An ongoing hashtag campaign also works as a useful tool to alert followers to timely information that they might want to stay on top of. Most weeks, the ICON Hotel & Lounge in Prague, posts a weekend tip. By offering regular tips, this hotel social media campaign offers value and builds loyalty with three important audiences. Improve the experience for guests currently staying at the ICON — Prague is a big city and a timely pointer to its cultural events can help make for a more memorable experience. Make the hotel’s social feed relevant to those who live in the city and could be asked by friends and family for recommendations on where to stay in Prague. Demonstrate to potential customers the diverse range of activities available to those who visit the Czech capital. How can I help the people who are currently staying at my hotel and are about to go home and talk to all of their friends about the memorable experience they had with us? What can I do for those who live near my hotel and are probably called upon by their friends who visit my city for recommendations? For those currently planning a trip to my part of the world, how can I convince them that my hotel will be the key that unlocks a remarkable experience for them? There is a persistent idea that social media marketing needs to be different from traditional marketing and that it should never be about selling directly. Sure, it’s okay to subtly introduce followers to the benefits of your boutique hotel, but don’t call on them explicitly to make a booking and definitely don’t talk about price. Really? Isn’t the point of marketing to drive sales? Sure, it absolutely is true that no one will pay attention to your social media marketing if all you do is hard sell. Offer value to the reader and build a style (more detail on this in our post about the essential hotel social media marketing ideas), but when it comes time to close, make sure you get straight to the point. For their Cyber Monday campaign, one of the most uncomplicated and best hotel social marketing campaigns I’ve seen, The Dream Hotels in New York City did just that. You don’t need that extra pair of shoes – but you do need that vacation. RIGHT NOW, you can book our #CyberMonday offer earlier than the rest. Use the link in bio to enjoy rates from $159 at #DreamMidtown and $219 at #DreamDowntown using promo code GIVING. This is one of the best hotel social media campaigns for being straightforward and selling directly. Cyber Monday (the day in November after American Thanksgiving) is a time when customers have been trained to expect a lower price in exchange for making a quick decision to buy. They do three things in this campaign that I think are worth learning from. The price is front and center. Because it’s right there, even those who see this image secondhand will have that critical information. Dream Hotels didn’t overdo it. They posted three versions of the Cyber Monday image (amongst dozens of photos and videos that month) and the faded backgrounds behind the special offer all fit into the style and aesthetic they have created for their feed. By asking followers to click the link in their bio to get to the bookings page, they have incorporated a simple and easy-to-follow call to action. Especially as Instagram beefs up the options they offer businesses for paid, targeted posts, hotels will have to be able to nimbly switch between publishing messages that give something and those that ask for reservations. Campaigns that sell don’t have to just focus on a special limited-time sale like Dream’s Cyber Monday sale. The Habita Group of Mexican boutique hotels uses the #habitaLOVESyou tag to announce 50% sales dispersed throughout off-peak times. With a clear call-to-action and obvious benefit, this hotel social media campaign is also right on the money. Even on Twitter, the social network most known for sending traffic elsewhere, they make the wise decision of putting their toll-free number right in the text of the Tweet. Many of the best hotel social media campaigns send potential customers to a website landing page, but maybe they have found that there are special advantages they get from this method. 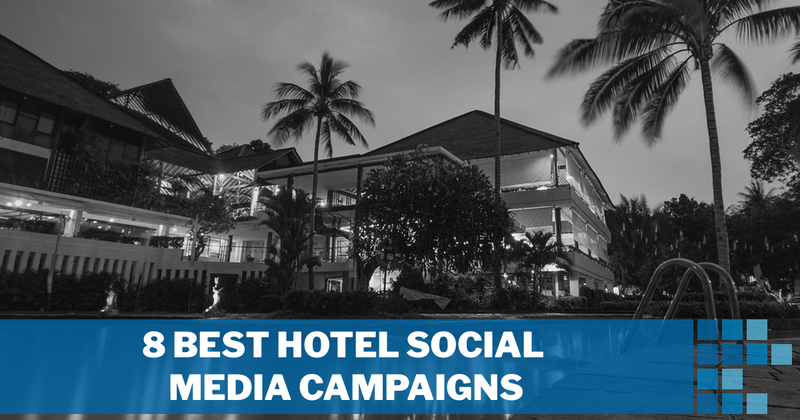 Some of the best social media campaigns that boutique hotels run, live only on social. (Take the Raleigh Hotel contest discussed above as an example.) It’s just as important to consider opportunities to use a social media campaign to support and enhance off-line activities. Recap highlights from past events. For the campaign to support their #UpCloseWith series, the Upper House uses a mix of photos and videos. They use the same hashtag (#UpCloseWith) on all posts about these events across all networks. By their nature celebrity events each attract a specific audience — if you were interested in the one with cookbook author Tom Parker Bowles, you probably didn’t also go to the one for fashion designer Jason Wu — but by connecting all of their posts with one hashtag, the Upper House lets followers know about the variety of events so that they can each find one that suits their tastes. Equally, a social media campaign can focus more tightly on a particular event in your boutique hotel’s life. When one of Rome’s most luxurious hotels, the Hotel Eden, took the step of closing for any extended period of renovations they kicked off their #ATasteofEden campaign. While the Eden Hotel is closed for renovations, they are sharing details of what the refurbished spaces will look like. This innovative campaign mixed equal parts content about the off-site events they were hosting during the renovation with preview glimpses of the refurbished rooms — all connected by hashtag. As a social media campaign, #ATasteofEden’s two best attributes are that it continues the hotel-to-guest conversation while the hotel is closed and the content builds excitement for what is to come. It is possible to design a campaign that fits the needs of your boutique hotel. Creating hotel social media campaigns that see measurable results is our specialty. Drop us a line and we’ll get started on putting together the best one for your requirements.